When you think about selling your home, one of the first thoughts you’ll have is, “What upgrades or improvements should I do to get the highest sale price possible?” For years, we’ve been giving you tips on what to do and not do to get the biggest bang for your buck (Easy Fix-Ups to Make Your Home Shine, How to Get Your Home in Show Shape Quickly, Cheaply and Easily, Simple Tips to Keep Your Dream Home Dreamy) but now we’d like to show you the stats to back it up. 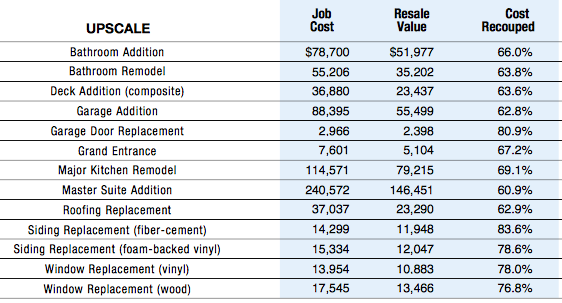 According to the 2015 Remodeling Cost vs. Value Report (produced by Remodeling Magazine), large remodeling projects and jobs are not likely to return sellers their full cost. So if you’re looking to put money into your home, with the hopes of getting more out, don’t do anything major. That’s great news! Who wants to go through a big renovation and then sell? That’s too much of a headache. There are lots of smaller improvements worth making if you’re planning to sell that WILL make you money and we have the list of what it should cost and what you can expect in return when you sell. 1. Simpler, lower-cost projects tent to return a greater value. 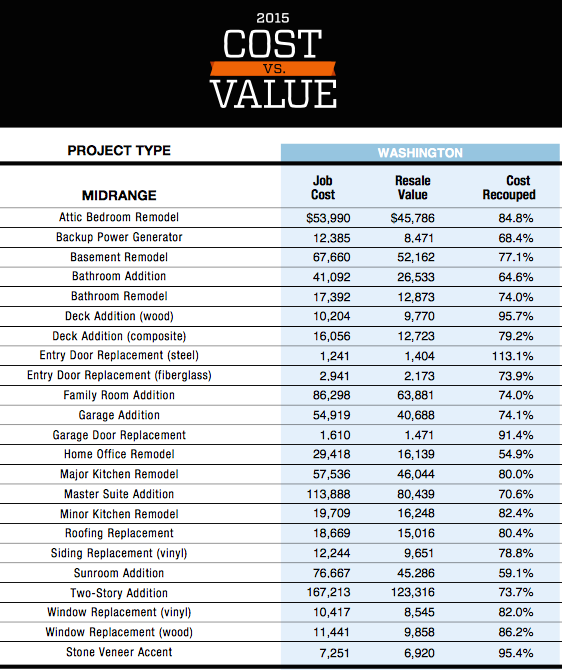 In general, replacements cost less and provide a bigger payback than remodels or additions. For example, an entry door, garage door, or window replacement is expected to get the biggest return on the dollar. 2. First impressions are important. We all know this to be true. No matter how hard we try, almost nothing can erase a first impression. That’s one reason why entry doors or garage door replacements are so valuable – they’re one of the first things an interested buyer is going to see! 3. Kitchens still offer the most bang for your buck, but keep it simple! If you’re thinking about wowing potential buyers, there’s nothing better than impressive images of a beautiful kitchen. However, all you need to do is make minor updates, like painting and changing outdated knobs – no big remodel necessary! This way, you’ll get the largest return on investment. Of course, the numbers and outcome will change depending on the area you live in, the specific remodeling job or just from house to house or sale to sale. 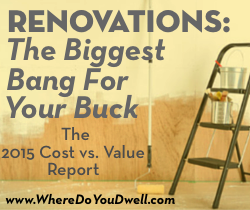 The Cost vs. Value Report is a good starting point when considering what you might want to tackle. 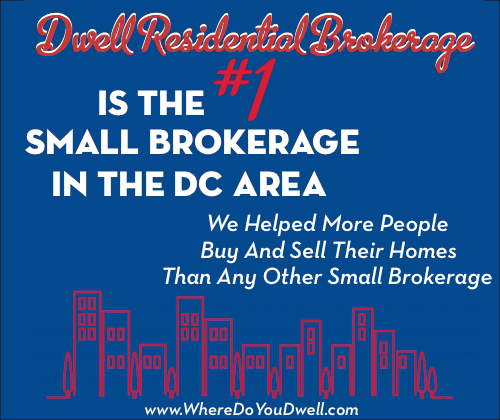 As always, consult a professional about how much a certain job would cost and talk to your real estate agent about what to expect as far as a return.